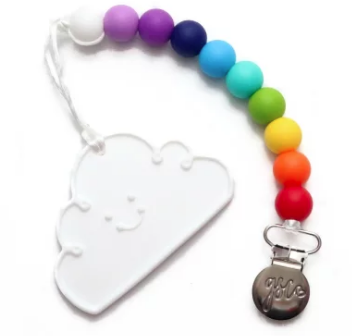 Keep your little one's teether always in reach (and off the floor!) with this clip-on teether! Made from food grade silicone with a stainless steel clip.